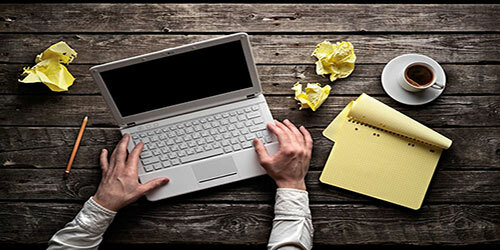 When writing a press release, you must decide if you want to write your own or outsource your work. Either way you are going to get a press release and hopefully you'll be successful from here to the UK on your press release, no matter the method you decide to go with. No matter if you're writing a press release about a book launch, a hot band announcement, or sports or fashion, it's all the same. You must treat every press release as if it were your last…err… Well that is a little dramatic, but you must treat it as though your business depends on it. Because it does. 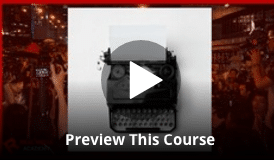 So on with it then… Let's discover how you can be a press release writing master! Picture this, you run a company that coaches businesses and their employees on how to properly word resignation letters and writes up resumés in the form of a template and you just mail merge it. So you want to launch your app that houses these templates? How can you get publicity for this? Oh… I don't know… WRITE A PRESS RELEASE! This isn't to make you feel dumb or feel as though you don't know what you're doing, but the first step to the beginning of a press release is to figure out what the press release is about. You wouldn't run a charity or produce a movie without knowing what the outcome would be about. You wouldn't write music or play sports without some sort of knowledge to the outcome, now would you? So why would you write a press release without knowing exactly what your press release is about. There are a series of events that take place for a press release to happen and happen effectively. So what are they? There really is no set way to measure how a press release will cost. 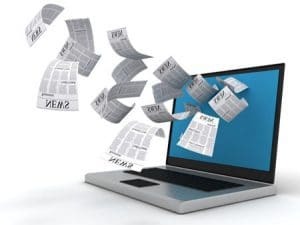 It isn't like going in and buying a newspaper every Sunday for $1.20, some companies may have a set price, but there are definite parameters that go into figuring the cost of a press release. Quality is more than just the amount of time that is put into a press release. The quality of a press release is determined through the knowledge that is poured into the pages, the evident grammar and spelling, and cohesive wording. Being able to see the time and effort that was poured into a high quality press release is something that you'll pay high dollar for. The scope of knowledge comes from the amount of research that is displayed in the completed release. If a topic is thoroughly researched and documented properly and it is evident in the text, the SEO is optimized, and there is versatility in the fact that there are more versions than one. Having more than one version of your press release shows versatility in your business and yourself. Determined by quality and scope of knowledge, you'll get what you pay for. For around $150 or $300 you'll get a quality, expert writer to write you a press release and be done with it. For an upwards of $2,000 to $3,000 you'll get a professionally written press release. Want to save some money and write your own? The Real Media Academy will give you all the knowledge that you need to write your own press release. They'll give you the knowledge that you need in 33 minutes. You don't even need to dedicate a full hour to learning, you can spend more time writing your press release! The RMA will not only give you tips and tricks on writing a bang up press release, but they will also give you the skills to write your own eye catching, attention grabbing press release. You'll get to know the different types of press releases known to the media and you'll grow to understand the most conventional form of a press release. They say if you know the basics you'll be able to master those big, bad press releases in no time at all! The pros of having a press release written for you? Oh, there are many. Many media sources receive hundreds, if not thousands, of press releases a day. Having a press release professionally written for you can increase your chances of having your release in the headlines of the media. The pros of writing your own press release? You'll more than likely save a few hundred to a few thousand dollars by writing your own press release. You'll also have a sense of accomplishment for this great, new skill that you've learned yourself of. The cons of having a press release written for you? The cost. If you wish to have a press release professionally written, you'll have to pay a pretty penny. You'll pay a pretty penny for these services, but hey, if you play par for the course, you may just see your story here and there or just short of Australia. The cons of writing your own press release? More than likely you won't have the professional attributes in your press release when writing your own. This is something that comes over time, but once you get it, you'll have the award of knowing that you can do it by yourself and set an example for your company. Either way, there are many benefits to a press release. Decide which method is best for you and your business and take matters into your own hands. Remember why you're writing your press release. It's for the distribution of news about your company or business. It is to exercise the right to inform those of your good news or bad. You determine how you will distribute your press release, either via the media, a conference, a post on your website, or a mass email send out. In the event of a good and effective product that follows the guidelines of a format or template software that practices the killer guidelines of the service or sample that you‘re trying to create, you‘ll more than like appeal to not only your company or business, but you'll also be more appealing to the news outlets or the media. Make sure you practice writing examples of your press release to perfect it. Who knows, you may set examples for those that consider themselves professionals!